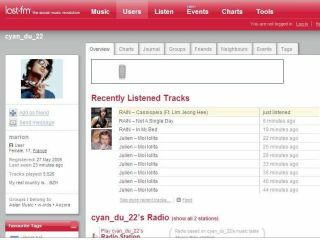 Last.fm has struck a deal with Universal to show the company's music videos as of Tuesday 17 June , The Guardian reveals. The deal means that 12,000 full-length videos are now available to watch on the site on a streaming basis. This is the first arrangement of its kind for Last.fm, who just last week took all Warner Music Group artists off its streaming service after a deal with the label fell through. Unlike YouTube, users of the site will only be able to stream the music videos, and will not be able to embed them or post them elsewhere. The videos will be able to be added to a user's profile – or 'scrobbled' if we are to use Last.fm speak. Artists signed to Universal Music include Nirvana, Amy Winehouse and Kanye West. This isn't the fist time that Last.fm has put video on its site, but it is the first content to come from a major label.